The Law Office of Gordon Van Greig, L.L.C. Gordon Van Greig is a native of New Iberia, Louisiana. After graduating from New Iberia Senior High, he attended the University of Louisiana at Lafayette. After graduating from the University of Louisiana at Lafayette, Gordon attended Loyola University School of Law in New Orleans, Louisiana. While attending Loyola Law School, Gordon was a recipient of the Jack LaNasa Scholarship Fund and served on the editorial board for the Loyola Maritime Law Journal as the Substance and Print Editor. Gordon was also the recipient of Loyola University’s Legal Excellence Award for Civil Procedure, earning the highest class standing in that course. Gordon graduated in the top quarter of his class within the Common Law Division, earning additional Certificates in International Legal Studies and in Civil Law. Gordon was admitted to the Louisiana State Bar in 2005. Gordon is admitted to all Louisiana State Courts and the United States District Court for the Western and Eastern Districts of Louisiana. 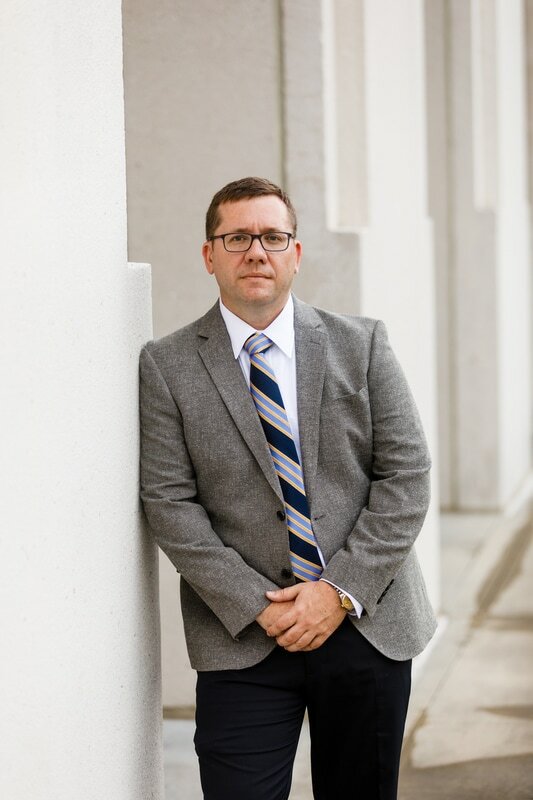 His growing practice has consisted of general tort litigation, premises liability, Jones Act, State Workers Compensation, the Longshore and Harbor Workers’ Compensation Act, Personal Injury, and general litigation. Gordon is an active member of the Louisiana Bar Association, Lafayette Bar Association and Young Lawyer's Association.